One of my favorite sayings is from the first Star Wars movie when Obi Wan Kenobi is talking to the storm troopers and says "These are not the droids you are looking for. " This image just made me laugh. 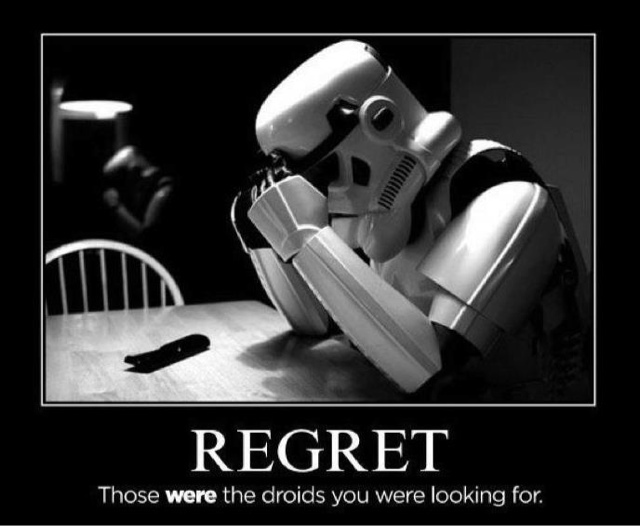 Clearly, this storm trooper has had a bad day! Hopefully, mine will be better. I found this somewhere on the net or in Facebook--so thanks to whomever it was who posted it first. Let me know who you are and I'll be sure to give you credit.